What we have on the table today is another MLM company, Nerium International. This company is quite popular in the beauty and anti-aging industry. However, it is quite controversial also in the sense that it has been debated upon by many people whether they are a scam company or not. Before anything else, let me commend you for taking the time to know more about what Nerium International first is all about. Everyone should get into this habit and not to jump right away into a seemingly good business opportunity. Educating yourself about a particular business opportunity and learning a great deal about it first will help you make an informed decision. This is one way to avoid scam companies and, eventually will help you find the legitimate way to make money online. Chances are high also that someone from your circle introduced you to this company, so now you need to know more about the company itself and what they really are. But you will realize also that not all the online reviews found on the Internet about Nerium International can be relied on. Watch out for some Nerium skin care reviews because a handful of them are biased and prejudicial, obviously trying to protect an interest or another, either their interest or the company's. Please know that I am not in any way associated with Nerium International, therefore you can expect that my analysis and review of their offered business opportunity is impartial and fair. Price: From $49.95 Basic Starter Kit all the way to $1,749.95 Gold Starter Pack. Best For: People with exceptional talent in networking and recruiting. Summary: This MLM review established the fact that Nerium International is a legitimate networking company. It gives its members a fair chance to earn money, inspiring them even to work harder so they can stand a chance to earn iPads or achieve the Lexus car bonus which the company will lease for them for 1 full year. But Nerium International is an MLM company, where you need to shell out hundreds or thousands of dollars just so you can get started. Aside from this, the most pressing part is, network members need to focus primarily on recruiting new members every now and then. How to Get Started with Nerium International? Is Nerium International a SCAM? ​Nerium International is a multilevel marketing company selling various age-defying skincare products using a network of independent distributors. Internally, they refer to these product distributors as “Brand Partners”. Jeff Olson founded Nerium International in 2011 and is currently leading the company as well. The company is also listed in the Better Business Bureau. Please let me correct the common notion of many people about BBB. This body is not a government agency. Therefore, the reviews and feedback they give towards a particular business entity should not be heavily relied upon as your primary or only source of information. The purpose of their feedback is not just to create public awareness on a company’s reputation in relation to its industry, or uphold the consumer or public interest. It is because they generate their income through the membership fees they collect from these companies, which as far as I see it, creates a conflict of interest with what they provide to the public. It is also interesting to know that in 2013, Ray Liotta the actor, lodged a formal complaint against Nerium for allegedly using his visage in one of their advertising campaigns without his consent. There are several other lawsuits filed against them, the most recent of which is that of Kimberly Gerdo who made a claim that the company is employing a pyramid scheme. Despite the fact that Nerium is relatively new to the industry, they already have their fair share complaints and lawsuits. 1. You can look for relevant customers to sell to them Nerium merchandise and in so doing earns you retail commissions. 2. Recruit interested parties so you can build your own downline teams. This option will earn you various types of bonuses and incentives, which may include the Lexus Car Bonus. You can choose either of the two options after you become a Nerium Brand Partner. Nerium Brand Partner is just another word they have for independent product distributors. They help the company in marketing and selling their products. How to join the Nerium International network? You have to purchase either one of their offered starter kits. Note that there is no product item included with this starter kit. Therefore, you may need to purchase them separately, or choose other starter kits that come with the Nerium merchandise. The Basic Kit is working to your disadvantage in such a way that you have nothing to offer or present for use, demo, or when you are going to sell. Therefore, the practical starter kit that you need to obtain are those starter packs that come with product items already. Your Nerium Starter Pack purchase will make you a full-fledged Nerium Brand Partner. With that, you can commence in promoting and selling Nerium products and merchandise right away and at the same time, you can recruit people interested in the business as well. Once you officially become a member of the Nerium network, you need to keep your profile active. You do this by observing your monthly order requirement which is referred to as autoship. If you are challenged in making the required monthly product sales, to keep your profile active you purchase the product to yourself and sell it at another time. Part of Nerium’s sales pitch to entice more people to join their network of brand partners is not just to give them a fair chance at reaching their financial freedom using their offered compensation plan. In addition to that, the company is giving them a chance to achieve the Lexus car bonus. This car bonus is at stake for a period of 90-days after the new member joined the company. Nerium International has provided the foundation that should help make things easier for their members to achieve their offered Lexus Car Bonus. Bring 3 people who are highly interested in joining the business. This gets for you the 10% check match. Help out your 3 sponsored members in recruiting 3 more people to join the network under them. This entitles them to receive an iPad. By helping your 3 sponsored members increase their chances in getting an iPad, you are entitling yourself to a Lexus Car Bonus. Please note that this is only a one-year lease. If you will help a minimum of 12 of your people or sponsored members in achieving the Lexus Car Bonus, you'll get yourself a $50,000 bonus. As Nerium Brand Partner, you are entitled to receive 10% to 26% retail sales commission. This will depend upon your sales volume output and rank in the network. This incentive is based upon the principle of unilevel commission. This gets you to earn commissions based your downline team’s sales volume. They have other miscellaneous bonuses at stake for Nerium Brand Partners, Pack Bonus, Coaching commissions, Senior Director Bonus, Customer Acquisition Bonus and many more. We have uncovered a number of unpleasant truths about Nerium and the business opportunity they offer. And we present them here now to shed some light on what you can expect from this company should you decide to join their network. The value of their Basic Kits for aspiring Brand Partners is $49.95. However, this starter kit is pretty useless in the sense that it does not come with any product item. In that case, you won’t stand a chance to earn from their platform. Therefore, you are left with no other choice but to opt for the other Starter Pack offerings that comes with select product items, which they have plenty of and are pretty much more expensive than the Basic Kit. I have reviewed plenty of networking companies before and most are under the beauty and wellness niche. While the fact remains that this industry remains as one of the most profitable niches as more and more people are becoming vain about their physical appearance, there are just way too many MLM companies catering here. If you have a discerning mind, you will agree with me in saying that there are far better opportunities that you can look into than what Nerium International has on offer. In MLM companies where the main source of income for independent product distributors is in their ability to recruit more people into the business, they are left without much of a choice but to employ unethical marketing strategies. The use of edited pictures to illustrate how good and impressive Nerium products are is a common practice among MLM companies. This leaves the consuming public to know the difference and figure out which ones are authentic and genuine. A manifold of complaints about Nerium products have been raised against the company, and they are strewn all over the Internet. A simple research on the Web about this will reveal to you some of the most celebrated cases. I can’t put so much emphasis on this aspect, but truth be told now, Nerium International is bent on making their network members bring in more people to the business. One way they entice their Brand Partners to do this is by offering them the Lexus Car Bonus or iPad device. Unfortunately, the car bonus incentive does not mean to say that you get to own the car itself. The company leases it for you for one full year, then you need to return it. If you are a member of Nerium network, your life and motivation in this company will revolve around one thing only - recruiting. Everything you will do will all boil down to recruiting. The image below is a screengrab from Nerium’s Success Planner page. This is the company’s introductory guide aimed at helping new network members to get started with the business. In a layman’s terms, this simply means that by recruiting 3 preferred customers to the business, with each of them keeping their monthly autoship in check, will entitle you to have your Nerium monthly autoship come to you FREE OF CHARGE. In addressing this question, I would like to put Nerium International as something on the borderline. The company has employed marketing strategies that are best described as sketchy, and the manner in which their independent product distributors are forcing the business opportunity and products to their circle will definitely give them a bad impression of the company. As for the Nerium compensation plan, I’d say that it works. But the sad truth about this is that it is not particularly oriented for the independent distributor’s success but is more leaning towards the company’s. It is going to be a big struggle just to make a few sales. And when it comes to keeping the members of your downline network remain enthusiastic about the business imposes even more challenges and increased level of difficulty also. As you can see, there are far too many red flags I have uncovered in this review of Nerium International. Thus, we can safely say that this is not the best opportunity to take in as far as making for yourself an online passive income is concerned. So, what we should do then? Veer yourself away from networking companies. They usually promise us heaven on earth after we become part of their company, but the opposite is always true. While I firmly believe that Nerium International not out to deliberately scam anyone out there, the truth remains that getting involved with this company is currently not the wisest nor the most practical thing to do if you are keen on making extra money on the side. There may be a manifold of ways to make money online, however, my best recommendation is for you to consider the method that I myself have tried and proven very effective. 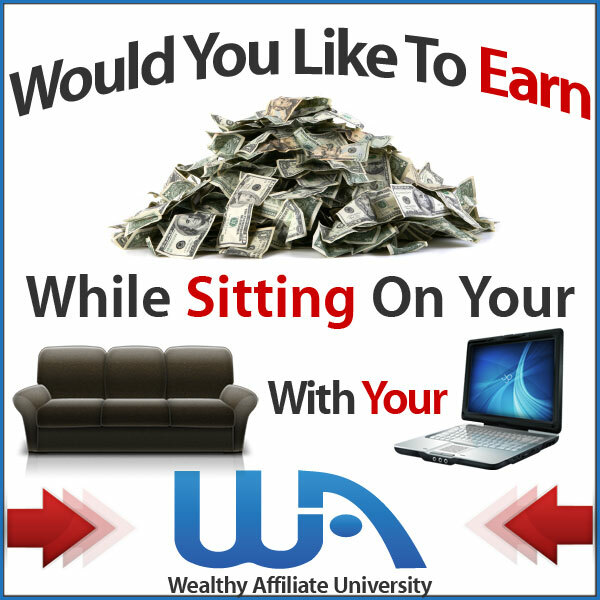 I invite you to consider instead affiliate marketing as offered by Wealthy Affiliate. This is a surefire way, no risk, highly-effective way to earn passive income. Best of all this is the platform that helped me reach my own financial wellness. After all, you can try it for free, at no extra cost. You will not recruit or refer people to the business. You can start right away for free. As of today, when it comes to making good amounts of passive income from the Internet, nothing beats affiliate marketing. Wealthy Affiliate marketing program is way better than others. It will provide all the support and help you will ever need, from building your website to finding the products and service from companies in various industries that you can promote. If the Wealthy Affiliate course is substantial in reaching my financial wellness, there is no reason why you wouldn't have the same level of success, too. Based on the facts and information presented with this review of the Nerium International business opportunity, would you still consider venturing into this MLM company? Why, or why not?